Morgan West was diagnosed with a brainstem tumor called Diffuse Intrinsic Pontine Giloma (DIPG) when she was 2 ½ years old. She was given only 2 years to live. 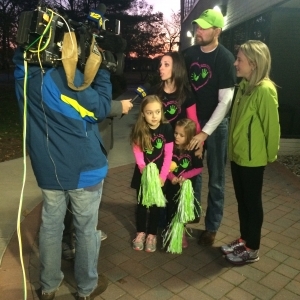 Morgan’s tumor miraculously remains stable 3 years later. She completed 6 weeks of radiation at St. Jude Children’s Research Hospital. 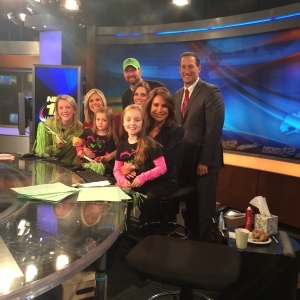 Morgan takes daily medication for her disease, but there is no cure yet for DIPG. 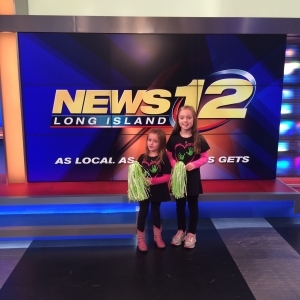 Morgan is now a kindergartener and was recently on News 12 Long Island to talk about the St. Jude Give Thanks Walk, an event to raise awareness and donations for St. Jude Children’s Research Hospital. Morgan loves being actively involved in raising awareness and donations for St. Jude Children’s Research Hospital. 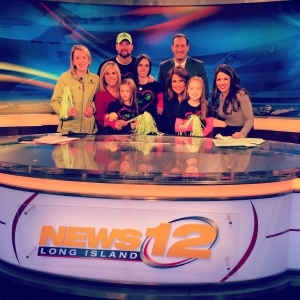 Her own fundraising group, Helping Hands 4 Morgan, was the top fundraising team on Long Island in 2012 and 2013. Morgan is a walking miracle. She defied all odds by beating a cancer that has a typical survival time of 6 – 9 months and continues to defy the odds with her stable MRI’s. Morgan’s fun, energetic demeanor and fighting spirit inspire those around her.